Unofficially, Landon and I woke up at 2:30 am. Stephen and Quentin joined the whispering and fumbling bathroom visits and then fell asleep again until officially giving up at 5:00 am. Not enough sleep, but still manageable. We all enjoyed a quiet Den Bosch morning together despite our stubborn circadian rhythms. It is a lovely, sleepy town on a Sunday. Cool and grey and still. 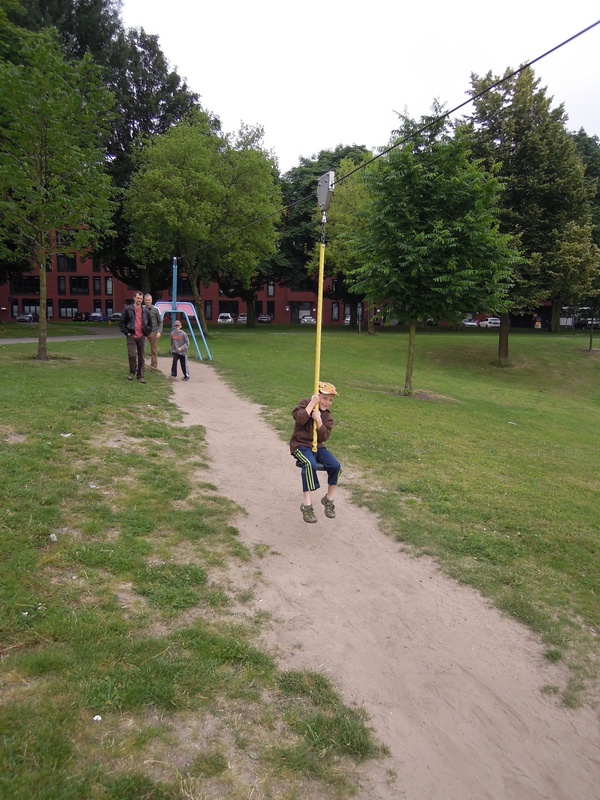 We strolled around a lake and found some quirky Dutch playground equipment for the boys before embarking on a mini-adventure to Antwerp. 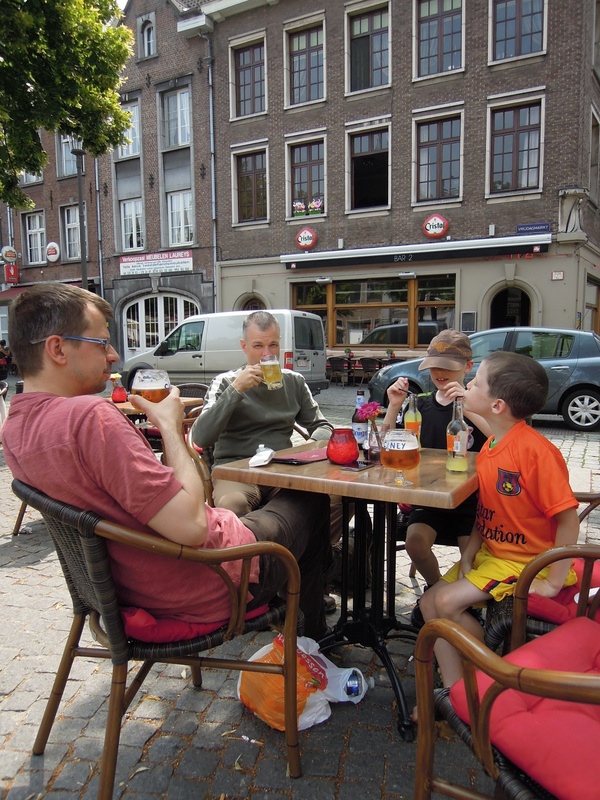 It was one of those just-right experiences….just enough walking and sight- seeing, just the right weather (warm with a gentle breeze), just the right food (market samplings, crispy waffles, and chocolate) and just the right drink (Belgian beers for the adults and orange Fanta for the kids). Despite the fact that the kids had a good reason to whine and complain, they simply didn’t. They were pretty cheerful, in fact.